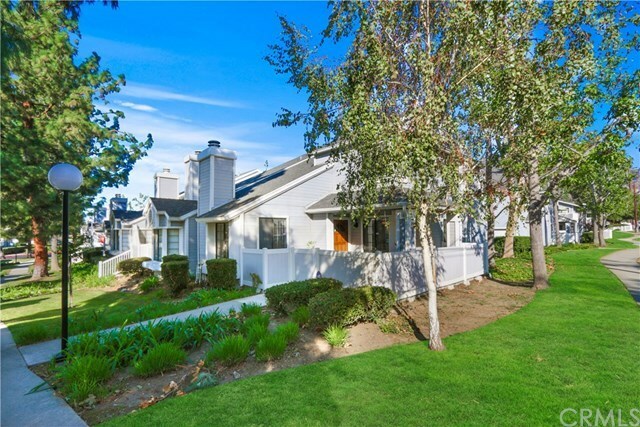 Sharp 3 bd/2.5 Bath END UNIT Townhome located at the Foothills Of San Gabriel Mountains in the Crystal Canyon Community of Northern Azusa! One of The Best Locations In The Complex Since it is Very Private and Adjacent to Ranch Road Which is Convenient for Extra Parking and Quick Access to the Unit . . . . Terrific Cape-Cod Architecture/Curb Appeal, Front Gated Porch Entrance, Spacious Living Rm W/Fireplace And Vaulted Ceilings, Very Light and Bright w/Large Windows, Formal Dining Rm, Light/Bright Kitchen with Granite Counter Tops and Upgraded Appliances, Refinished Oak Cabinets and Breakfast Nook, Half Bath Downstairs. Beautiful Hardwood Flooring Thru Out First Floor, Upgraded Carpet Upstairs and In Bedrooms. Winding Staircase, Master Suite With Vaulted Ceilings, Remodeled Bathroom W/ Granite Counters and Large Walk-in Closet, All Three Bedrooms Offer Ample Living/Closet Space. Two Car Garage With Direct Access Into The Kitchen and Laundry Area. Extra Storage Space/Cabinets in Garage. This Beautifully Maintained Community Offers a Gated Pool and Spa, Tennis Courts and Lush Landscaping/Green Belt Areas. No Need To Preview.